Late last month, a massive denial-of-service (DoS) attack shut down access to many popular sites like Netflix, Amazon, and Twitter. The way that hackers made the attack happen was by using millions of internet-connected devices to request access at the same time, effectively overloading the system. 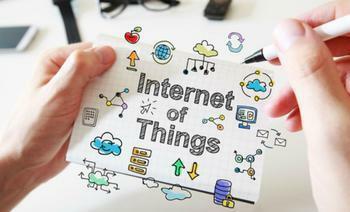 Experts have warned that similar attacks could easily be repeated, and that shoring up security on products in the vast “Internet of Things” (IOT) should be a primary objective. While doing so will continue to be an on-going and massive undertaking, there are some things that consumers can do to make their devices secure so that hackers can’t get a hold of them. The Washington Post has reported that knowing which devices are vulnerable and how you can protect them can keep your private information safe and prevent future large-scale attacks. The first step to protecting yourself from hacking attempts is knowing which of your devices are susceptible to them. Unfortunately, from a security standpoint, the number of IoT devices is increasing at a dramatic pace; some experts estimate that there will be as many as 30 billion connected devices by the year 2020. The simple way to identify an IoT device is to see if it can connect to the internet or shares information over a wireless network. Right away, consumers may easily be able to recognize devices like computers and smartphones, but other less obvious devices like security cameras, DVR’s, and even smart home technologies like thermostats can apply. Unless these devices are protected by a secure password, a saavy hacker can take control of it and use it for nefarious purposes. So, to prevent that, always make sure to change the default password on any device that connects to the internet; you can look in the user manual to do this for many devices. If that option isn’t available, try doing a web search for “default [product name] log-in and password.” Once you have the credentials, you can log in and change the password. Another path that consumers might take is choosing not to buy certain products with online connectivity. While it may be useful for certain electronic gadgets, is it really all that important to have a refrigerator that can go online? If that answer for you is no, and you can’t password protect it, then maybe consider buying a different product. If you are worried about the connectivity of any of your devices, you can always contact the manufacturer for more information. The Homeland Security Department also releases public alerts on security issues, vulnerabilities, and exploits through its website here. Study finds 178 million exposed cyber assets in the U.S.